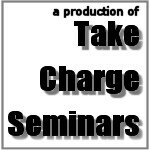 We are your source for informative and enjoyable seminars on payroll, sales tax and other topics. (C) Copyright MMII by The Gadwall Group, Ltd. All rights reserved. Additional copyright and trademark information is available.